The American Institute of Alternative Medicine (AIAM) is a private higher education institution whose mission is to empower by promoting a holistic approach to wellness. AIAM models an integrative approach to develop and inspire compassionate professionals, nurture vibrant lives and foster a healthy community. At American Institute of Alternative Medicine, we believe your success is our success. AIAM’s Commitment: The American Institute of Alternative Medicine is committed to providing the highest quality of education possible. Each of our three programs values an extensive focus of hands-on clinical approaches throughout all AIAM curricula. AIAM is a pioneer in providing an educational environment that integrates the best of both Eastern and Western healing modalities. At the heart of all our programs is the desire and commitment to help our students treat the body, mind, and spirit of each client. AIAM was established by Helen Yee and Diane Sater in 1994 as a school of alternative medicine, focused on the philosophy of holistic remedies and health education. Their goal was simple: Provide students with the highest quality education and prepare them for rewarding careers steeped in the traditions of holistic medicine and homeopathic remedies. They continue to hire faculty who are able to teach students to help people heal, handle pain and stress, and improve their quality of life. Students who seek to be registered nurses, practical nurses, acupuncturists or massage therapists can get the education they need to be successful in the medical field. Diane and Helen strive to ensure that students have the best opportunity to get a top education at a reasonable cost. Under their active leadership, AIAM continues to increase its enrollment, create innovative programs, develop a solid reputation and offer acupuncture and massage clinic services. Hence, employers in the area are eager to hire AIAM graduates for positions in alternative medicine. If you choose a program at AIAM, you’re very likely to find yourself on a first-name basis with our founders. Click on a date to learn more. AIAM Started as Massage Away, Inc.
Diane Sater and Helen Yee co-founded Massage Away and it was Central Ohio’s largest therapeutic clinic. The massage clinic’s growth, overwhelming customer demand and the need for quality massage therapists led to the first Western Massage Therapy program, starting with 14 students. The Accrediting Commission of Career Schools & Colleges (ACCSC) granted full institutional accreditation. The school was approved to offer financial aid benefits by the U.S. Department of Education. The school’s name was changed to the American Institute of Alternative Medicine. Chinese Massage Therapy and Acupuncture curricula were added to reflect a broader mission. AIAM’s Acupuncture Program was the first in Ohio and a pioneer in providing educational environments integrating both Eastern and Western healing modalities. The Accreditation Commission for Acupuncture and Oriental Medicine (ACAOM) approved AIAM Acupuncture graduates to sit for the national certification exam. AIAM’s Professional Master’s Level Acupuncture Program was recognized by ACAOM; showing a maintained dedication to preparing students to be certified Acupuncture and Oriental medicine practitioners. Developed with a blend of holistic and Western medical philosophy, Practical Nursing (PN) and Registered Nursing(RN) were added as curriculum options. Students with no previous nursing education were able to enroll in a 24-month RN curriculum. AIAM is awarded the Tuition Hero badges for 2014 and 2015 for not raising tuition. Students applying to Acupuncture Program are required to have Bachelor’s degree and will graduate with a Master Degree. New clinical offering by Acupuncture Faculty for prescribed Chinese Herbs. 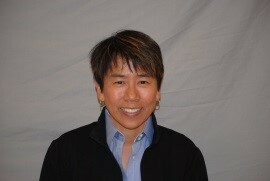 Diane is responsible for AIAM’s strategic direction and compliance with legal and accrediting standards. She has served on the National and State of Ohio Boards of the American Massage Therapy Association (AMTA), the Executive Committee for the National Council of Colleges of Acupuncture and Oriental Medicine, the founding board of the Ohio Council of Massage Therapy Schools, and on various committees for the State Medical Board of Ohio and the Asian Bodywork Therapy Association. Before co-founding AIAM, Diane worked for five years as an IBM account representative and for five years as an IBM engineer. She received her undergraduate degree from The Ohio State University College of Engineering and her massage diploma from the Central Ohio School of Massage. Helen is responsible for setting the school’s administrative and financial objectives, policy and practices. She also directs the acquisition, development, implementation, operations support systems. In addition to her work at AIAM, Helen serves on the Accreditation Commission of Acupuncture and Oriental Medicine (ACAOM) site visit team for the evaluation of acupuncture schools across the country. She presently serves on the board of Stonewall Board of Trustees, State of the Arts Production, and served as the past president of Pacific Association of Women Martial. Helen has successfully competed in national and international competitions throughout her martial arts career and was an alternate in the 1988 Olympics. She competed on the U.S. Tae Kwon Do team in 1990, earning a silver medal in the World Cup in Madrid, Spain. Helen is a member of the Bruce Lee Martial Arts Hall of Fame.